OGOGO's music is not specific to any genre; rather, it is their ability to create compositions beyond and between styles - to crossover from high to low, underground to popular - that distinguishes their peculiar music. OGOGO's use of chance and minimalism, and their exploration of daily life' sounds have played a significant part in the communication of music and the art world. Founded by the composer and guitar player igOr, OGOGO takes their audiences on unexpected explorations through 1,565 years of musical traditions. 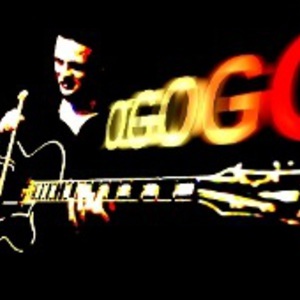 OGOGO's founding member Igor sharpened his dexterity in the Avant-Garde jazz scene with the John Cage influenced group Roof and the experimental rock ensemble Asphalt before creating OGOGO. Since then OGOGO has constantly pressed on the structure of musical form. OGOGO creativeness pamper a numeral of their infatuations, counting the improvisations of John Coltrane, noize-jazz, polka, circuit bending, minimalism, the harsh metal of Bodom, and their ingenious guitar screams and screeches. OGOGO's distinctive blend of musical styles reveals the approach contemporary music is presently spreads from one genre to another. OGOGO work doesn't only excite or distress. It raises challenging issues and changes our belief regarding what music is and how it is set in realization. Diverse is a way too simplifying word to illustrate their extremely challenging and at the same time mischievous sound manipulation. Practically each and every one OGOGO compositions share the same similar elements. The foremost is a mutual, more or less children resembling character. Another one is swiftness of changing ideas during the course of music. OGOGO has mastered the ability of the immediate transformation in the course of combination of obviously incompatible sounds. For illustration, they may put together a nursery rhyme with an operatic aria, noise of a children toy or mariachi performers next to a Japanese koto, a Peruvian charanga with timeless music of JS Bach. This musical quickness might be most excellently matched up to the fragmented sounds so customary in present video games, or not.